This is how Chilean winemaker Aurelio Montes Jr. described his new home when I met him a few weeks ago. I had asked him to describe the difference between making wine in Argentina vs. Chile, where he is from. Aurelio (who bears a striking resemblance to a younger Latin version of Tony Goldwin, though that could just be my unhealthy addiction to Scandal talking) is the son of Aurelio Montes Sr., founder of the famous Chilean winery bearing their family name. 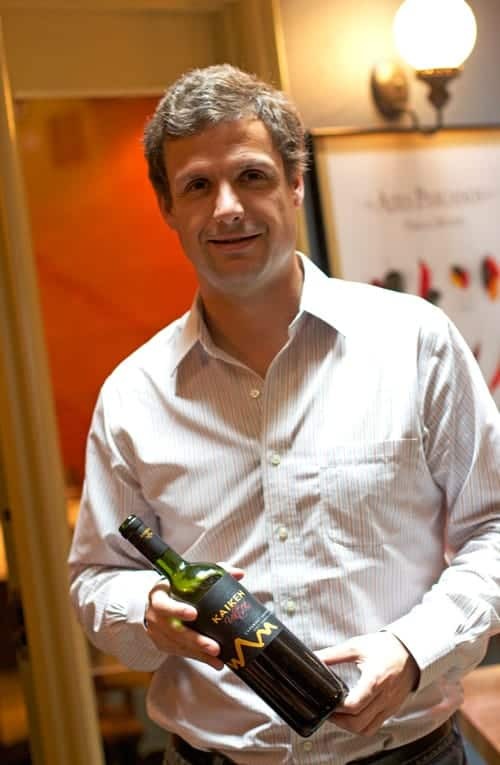 His father and two partners created Montes in 1987 with the goal of making premium wine in Chile. Fast forward nearly fifteen years the family, intrigued with what was going on in Argentina, wanted to make wines on the other side of the Andes Mountains. Montes Jr. would be in charge of this operation. Established in 2001 the Montes family purchased a winery in Argentina’s Mendoza region and started small, with just two wines. They now make 11 different wines in three different tiers. 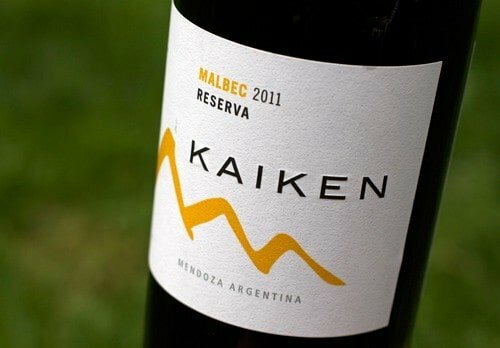 The name Kaiken refers to the Patagonian wild goose, the only bird that can successfully fly from Chile over the steep Andes Mountains and into Argentina. This symbolizes their quest to explore winemaking outside of Chile. It also quite literally described Aurelio in the early days of the winery. Aurelio Jr began by commuting to and from Chile to Argentina to make the wines, but quickly realized that wasn’t going to work. He wanted to be a part of the community there and the daily cellar work. Commuting wasn’t conducive to that environment. So he moved to Argentina to be closer to the winery and his employees (all of whom are Argentinean) along with his wife and children. I asked him what it was like for him moving from Chile to Argentina. Though the countries sit side by side, they couldn’t be more different in culture. He explained to me that when he first moved there he knew nobody outside of the winery employees. One day one of the workers invited him to a barbecue. Montes seemed shocked, “It is rare to invite a stranger to your home in Chile. You need to get to know them first. But they just invited me with open arms,” and showered him with food and wine. And of course the moment he said the word barbecue I had to know more. That’s my kind of BBQ! Speaking of BBQs, his wines are perfect for grilled meats. 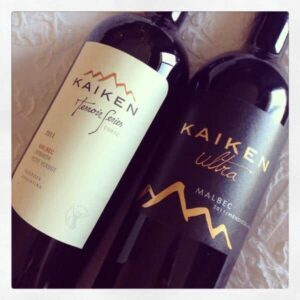 It should come as no surprise that Malbec is a great match for grilled meat with its robust flavors, but at Kaiken they make much more than just Malbec, and Aurelio Montes wants you to get out and explore the other varieties that thrive in Argentina. Cabernet Sauvignon, for example, does quite well here. And Kaiken makes two different Cabs. On the value end, they make an easy to drink, fruity and slightly spicy Reserve Cabernet Sauvignon that sells for around $10 (talk about value!). They also make the Kaiken “Ultra” Cabernet Sauvignon, their premium line of wines that sells for around $20, which is rich and smooth, with velvety tannins and spice. In addition to Malbec and Cabernet Sauvignon, they also make Petit Verdot and Bonarda that are featured in their “Terroir Series” line, and for white wines they offer a Chardonnay and Torrontés. They’re also biodynamic. Oh, and they have a Feng Shui environment and even play Gregorian chants 24 hours a day in the cellar. I asked Aurelio to explain the significance behind this whole Feng Shui, music in the cellar, business and his response was surprising. First he explained that years ago one of the partners of the original (Montes) winery had been involved in several serious car accidents. The only way he believes he survived them was that he had angels watching over him. So he (the partner) became quite mystical and religious (this also explains the angels on all of the brands of their wines), and felt that the Feng Shui helped to create a peaceful environment and that playing music to the wines keeps them happy. I couldn’t argue that! And I found that the wines represented excellent values across the board, from their value “Reserve” tier, to their premium “Ultra”, to the “Mai,” their icon wine. And Aurelio didn’t strike me as the serious Chilean he explained at the begging of his story. He seemed relaxed and peaceful, much like the environment he describes in his winery. So I asked him if he had changed since moving to Argentina. He also seems to have inherited some of that Argentinean passion from the way he talks about his wines. 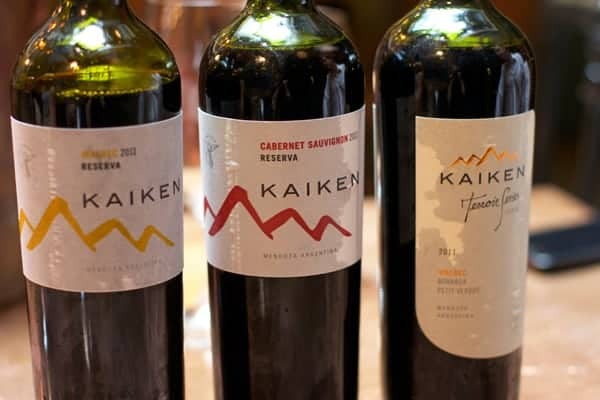 See what Jameson Fink had to say about Kaiken’s Cabernet smashing stereotypes about Argentinean wines. Huge thanks to Aurelio Montes Jr. for taking the time to share your wines with me!